Last summer, Mr. Prevention and I were lucky enough to vacation to Singapore to visit our friend, Lena. She was an outstanding host and it will be hard to find another vacation as exotic, delicious, or hot! Singapore is really, really, REALLY hot!! To be honest, I did very little research on Singapore before going and had no idea what to expect…other than a REALLY long flight. As it would end up, I excel at sleeping on planes for hours…and hours…and hours. No biggie. I soon discovered Singapore is the melting pot of Asia…or at least that’s what it seemed to me. Very few foods and people were “Singaporean”, it seemed. Rather, Singapore is a blend of many surrounding country’s people and cultures. There were influences from India, Malaysia, and China and cuisine from each of the various cultures was readily available…and divine. 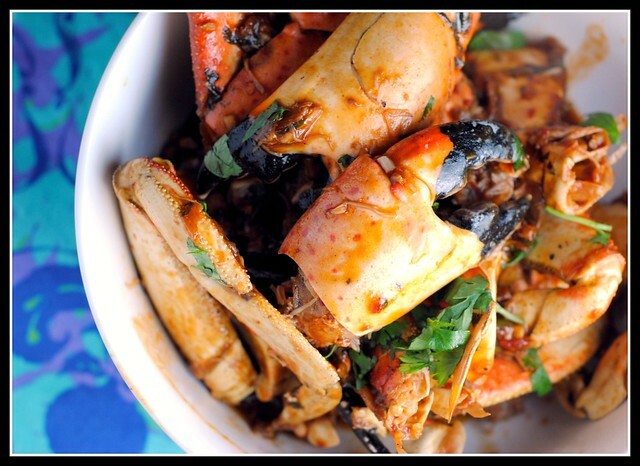 One food that seemed “native” to Singapore was Dungeness crab, prepared several very unique ways. Needless to say, we spent HUNDRED of dollars on crab dinners. I could’ve stayed forever! 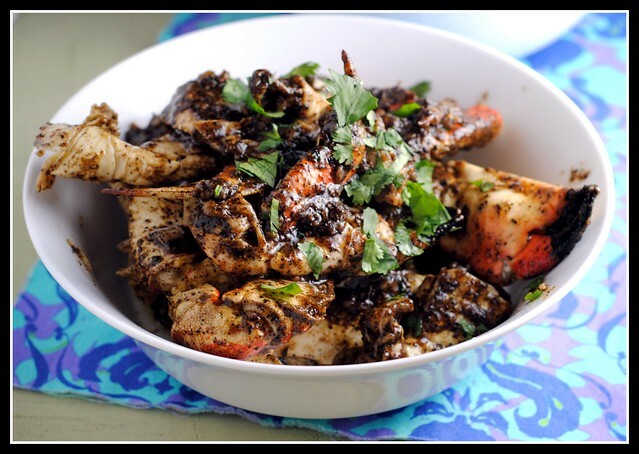 For Valentine’s Day this year, Mr. Prevention requested a home-cooked meal of “Pepper Crab”. Dry fry the black peppercorn on a low heat until fragrant, and set aside. Meanwhile, put the oil in a large wok, or large deep saucepan and heat over high heat until rippling. Add the crab legs into wok. Cook for 4 to 5 minutes, and then transfer to a colander to drain off excess oil. Set crab legs aside. Melt the butter, and mix in the garlic and give the mixture a quick stir. Then add black pepper, white pepper, 5-spice powder, oyster sauce, rice wine, chicken stock, and mix well. Toss in the crabs and stir until all the crabs are coated with the sauce. Transfer the crabs to a serving plate and serve immediately. Result: Divine! Sadly, this wouldn’t qualify as “healthy”…by a long shot. I did decrease the butter and the oil is drained off. Because the crab is “fried” while in the shell, very little is absorbed (I measured 1 tablespoon). But between the butter and the pepper, this recipe is made. 🙂 Enjoy! 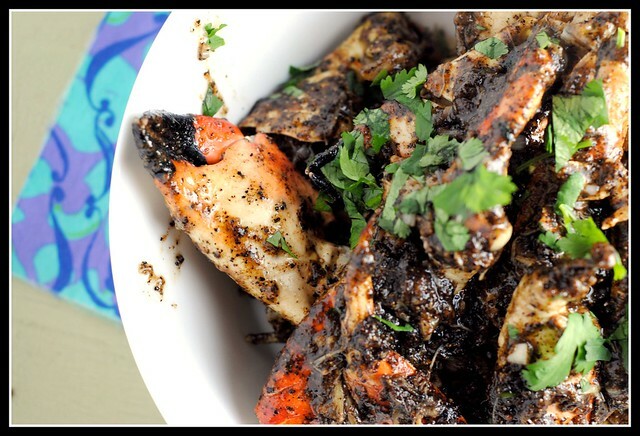 As for me, I preferred the Chili Crab preparation of Dungeness crab while in Singapore. I was opportunistic and prepared this dish for our Valentine’s Day meal, too. I mean, why not, right? Crack the legs and claws with the back of the knife or a hammer and set aside. In a bowl mix the ketchup, chili paste, oyster sauce, soy sauce, and tamarind paste; thin it with 1/4 cup water and set aside. Pour the oil into a wok or large skillet over high heat. Add the scallion, ginger, garlic, serrano chile, and cilantro and cook for 1 minute. Add the crab and stir-fry for another minute. Pour in the sauce and continue cooking, stirring often, until the crab has absorbed the sauce and the sauce has thickened, about 5 minutes. Plate and garnish with cilantro, if desired. Result: Sweet, salty, tangy, and spicy! You won’t mind digging in and getting chili crab sauce all over your hands…because then you get to lick it off! This version is spicy, but also sweet. And outside of the issue of sodium with all the condiments in the sauce, it’s relatively healthy! And delicious! As intimidating as cooking crab may look, don’t fear the crab! Dungeness crab is readily available in most local grocers at the seafood counter or in the freezer section. If you’re a seafood-lover, I cannot urge you enough to try shellfish recipes at home – so simple and QUICK…plus, much, much cheaper than dining out! « Love Your Heart: Meyer Lemon and Blackberry Olive Oil Polenta Cake + Giveaway! So happy it came out good!! I will have to try making some for an “I’m home!” party. Hard to believe how much time has passed since you guys were here. Fun times! This would be the best “I’m Home!” Singapore meal 🙂 Thanks again…it is hard to believe it’s been so long! You reminded me how my friend has been BEGGING me to go to Joe’s Stone Crab with him. It’s his favorite restaurant in the city and I don’t think I’ll hear the end of it until I actually go… LOVE me some crab legs. I’d heard about the melting pot thing, and the cleanliness of Singapore, and about their mandatory organ donation. But the indigenous crab dishes are off my radar! It is SO clean, yes! I had no idea about the mandatory organ donation…interesting! Hot is right…I am in Bali now after our stint in Singapore and it is cooler here…shocking! Love the crab in Singapore, i prefer the chili crab as well. We are headed to Blu on Saturday night when we return to Singapore, the chef worked at El Bulli, so I am excited. I am terrified of cooking seafood but I love eating it. 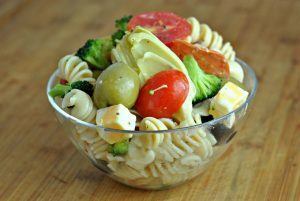 I really need to get over the fear because I’m missing out on awesome recipes like this! Looking ahh–maa-zing :)! Beautiful photos too! 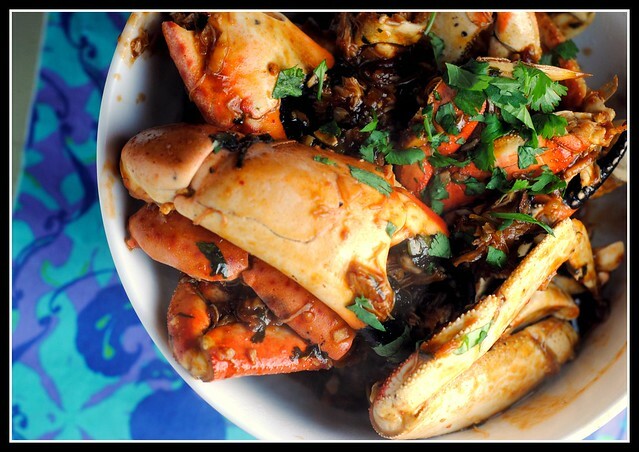 May just have to pick-up some crab on my next trip to the market and try this recipe. 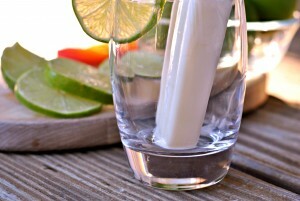 The recipes sound delicious and your photos are truly fantastic. What great work! Mr P is so lucky to have those dishes for Valentine’s Day! That was really sweet of you. I’ve never made crab before, to be honest. Did you use pre-cooked crab for both dishes? I have never made crab before. I think I am one of those a bit nervous to. Despite the heat, Singapore sounds amazing! What a neat opportunity to have gone. Wow, that is definitely an impressive recipe! I love crab, but rarely do anything but steam the legs and serve with drawn butter. I should give this a try! What is it about crab legs and butter that is just so freakin’ good? Wow. I don’t even know which recipe looks better. Your husband is a lucky man (as I’ve said like 40 times now), he gets fed some pretty amazing stuff. Yes! I went to Singapore this winter and tried both of these. Black pepper crab was my favorite. Can’t wait to try making these at home. This just looks incredible. I actually drooled reading this! your photos look really good! love the colours and def loving the crabs haha. my singaporean friends studying abroad often miss the chilli crab we have here and they swear by the singapore chilli crab paste they get from Prima Taste. ive tried it once and it’s really easy to good and yummy, as good as the ones you get from the restaurants/hawker centres! this is kinda embarrassing but i feel a sense of pride that so many ppl love this dish from singapore, hehe. Wifey….Can you make this for me on Friday?